What is Dental Bonding and how can it help you? Dental Bonding is the application of a tooth-coloured composite resin to repair a decayed, chipped, fractured or discoloured teeth. 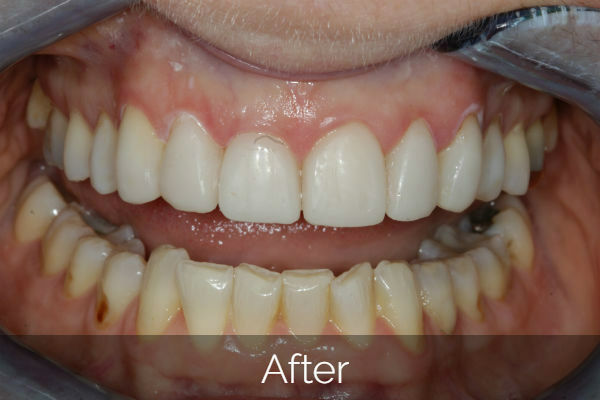 This has been a very exciting advancement in terms of cosmetic dentistry because it also gives us the ability to significantly improve the appearance of your teeth in a very safe, non-invasive, cost effective way. When bonding is used with orthodontics and whitening the enhancement of the teeth and the smile is really quite remarkable. Bonding is among the easiest and least expensive cosmetic dental procedure. The composite resin used in bonding can be shaped and polished to match the surrounding teeth. Improve the appearance of a discoloured or chipped tooth. The composite resins we have these days look incredibly natural. With differences only being identifiable under magnified inspection. These differences are usually indistinguishable to the natural eye at conversation distance. Composite resin is also used in aeronautical engineering to stick an airplane together. So, it is safe to say it is durable enough for the mouth! 3. There is also an opportunity to have a preview of the end result with a ‘Trial Smile’. 4. Once happy with the proposed end result we can move onto the bonding. 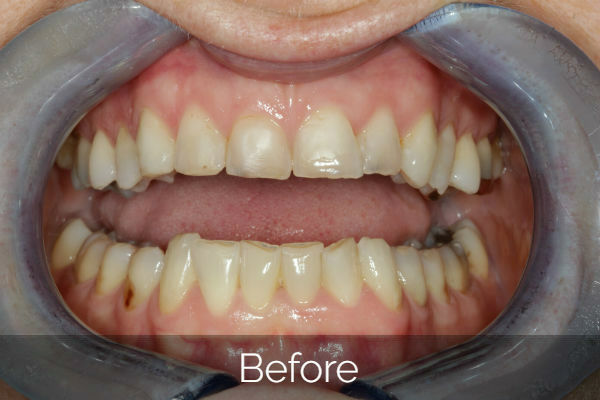 If you would like to improve the colour of the teeth whitening before bonding is a brilliant way to do so. 5. We will select the suitable shade of composite resin. We will then slightly roughen the surface of the tooth to aid the bonding. The tooth will then be coated lightly with a conditioning liquid, which helps the bonding material adhere to the teeth. 6. Once the tooth is conditioned, we will apply the appropriate tooth coloured resin. The resin is moulded and smoothed until it’s the proper shape. Then the material is hardened with an ultraviolet light. 7. After the bonding material hardens, we will further trim and shape it, and polish the material until it matches the sheen of the rest of the tooth surface. 8. The procedure usually takes 30-60 minutes per tooth to complete. If you’re having more than one tooth done, you may need to schedule more time or additional visits. a. You will usually be required to return 2 weeks after the final bonding session for some more polishing. Composite resins are susceptible to the same issues as natural teeth. Tea, coffee, cigarette smoke and other substances can stain the resin used in bonding. To prevent or minimize stains, avoid eating or drinking these types of foods and drinks, particularly during the first 48 hours after any composite procedure. In addition, brush your teeth often and have them cleaned every six months by a dental hygienist. We can also re-polish the composite resin if the surface loses it’s lustre.